It is very essential to get the idea, how to send bulk SMS free of cost. Now Bulk SMS messaging is the central communication tool for businesses and organizations across the world. Due to the popularity of bulk SMS services, there are many platforms available to suit the needs of anyone wanting to send bulk SMS. The Bulk SMS is one such software program that you can download it onto your PC. The Bulk SMS software allows you to manage all your text messaging communications directly from your desktop. It is easy to install and permits you to send and receive and manage individual bulk SMS communications. It helps you in scheduling your SMS. The bulk SMS software can be linked to external data sources: Outlook, Pastel, SQL Server and other ODBC data sources. There is detail reporting of all SMS communications. The bulk SMS can be sent from pc to mobile. It is the effective process of communication to promote your business. Sip2dial provide bulk SMS software to send your messages from pc to mobile. Once you register with the free trial text messaging software from sip2dial, you have to create a Bulk SMS account. After that, you need to open a sip2dial text messaging user page. Next is choosing the selective country to send a message. Now select your target audience you wish to text. Then you can enter their phone numbers. The next step is entering your email address in order to receive feedback. Now type your message and enter the security code. Then Send the message. Now you can customize your messages if you want to broadcast your SMS in a scheduled way. After you are done, your data will be saved on the cloud to ensure the security of the important data of your contact center. If you want to continue this process then you have to buy sip2dial premium. tsSip2dial’s text messaging software helps you to send bulk SMS online. There are numbers of steps to send bulk SMS online through sip2dial. Sign up for a free sip2dial’s text messaging service. Now you have to buy the SMS credit. Then upload or add your contacts. You can compose your message in English or any regional language. You can easily enhance your campaigns like personalized with merge field, insert short link and attach files, surveys and more. Then track the exact delivery time and advanced campaign call reports. How to send bulk SMS free to India. Sip2dial’s text messaging software allows you to send bulk SMS free in India. You can communicate with various customers across India. It is easy to enhance your service within a short time. Follow the steps how to send bulk SMS free to India. 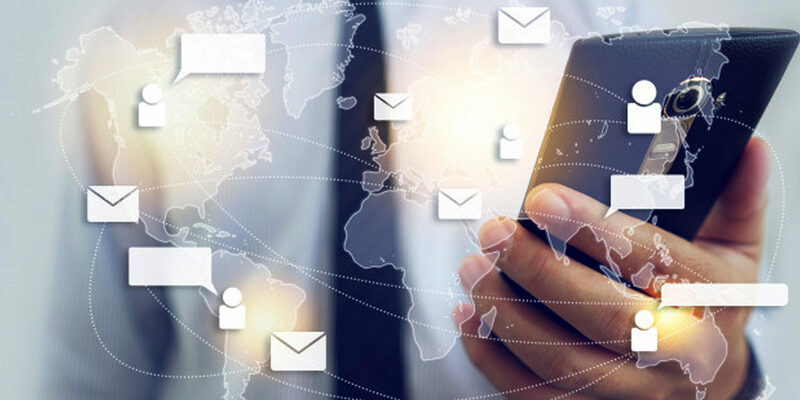 Once you open a Bulk SMS Web to SMS account, it will permit you to ingress your online account from any internet connected Web browser. Select the target audience you wish to text. Enter your email address in order to receive feedback. Now you can personalize your messages if you want to broadcast your SMS in a scheduled way. After you are done, your information will be saved on the cloud to ensure the security of the important data of your call center. In this article, we are trying to give brief information regarding how to send bulk SMS. Now it is easy for you to use bulk SMS in your contact center s to enhance your service effectively. You can feedback us and can help us to improve our services.